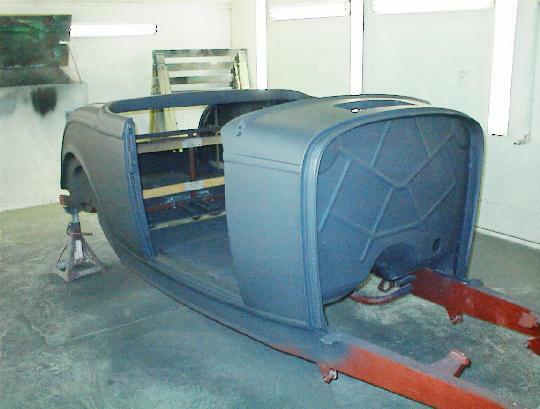 Here's a shot of Jim's roadster body in primer. All bodywork has been done at this point, and now it's time to really pay attention to the details. There's alot of prep that goes into a body like this before any primer is sprayed. 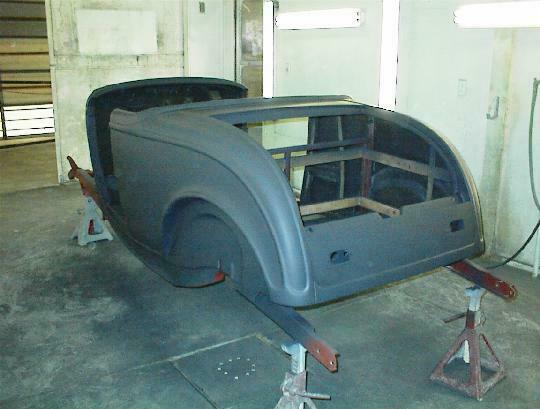 The body will be sprayed and sanded many times before it's ready the paint. Although the doors are removed and sprayed seperately, they will be put back on the car for each block sanding.